The first organization of Mayflower Descendants was founded in 1894 in New York City. The founders were influenced by efforts to return the original manuscript of William Bradford’s Of Plimoth Plantation to the United States. The first Annual Meeting of the New York Society was held November 22, 1895. During 1896 similar State Societies were formed in Connecticut, Massachusetts, and Pennsylvania. Representatives from these four Societies met in Boston later that year to discuss the possibility of forming a General Society. Preliminary resolutions were adopted, and on January 12, 1897, delegates from the existing Societies met to form the General Society. That group adopted a constitution, elected officers, and adopted insignia for the new organization. Mr. Henry E. Howland of New York was elected the first Governor General. The Constitution reflected the way the organization was formed, and it remains important today. The organizers were careful to form a “federal body” which did not take control of the State Societies. The General Society directs the membership qualifications and approves applications, but each State Society has control over its own affairs. A General Congress is held every three years for governance and election of officers. Among the important functions of the General Society is the chartering of new State Societies. From this formation over 100 years ago, the organization has grown, both in the United States and internationally. The first state to be chartered by the General Society was Illinois in 1897. Colorado was the first state west of the Mississippi to be chartered (1906). Starting at about that time, some states found that their organizations worked better by establishing Colonies. Colonies share the administrative responsibilities for their Societies and make it easier for members to attend and participate. By 1963, all fifty states and the District of Columbia had established Societies. The latest charter was granted to the Canada Society in 1980. 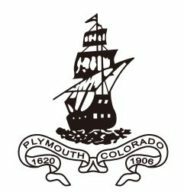 Since its formation, the General Society has participated in many exciting events related to the memory of the Pilgrims and Plymouth Colony. In 1897 the General Society announced the return of Bradford’s manuscript, which was restored to the Commonwealth of Massachusetts later that year. During the first few years of the 20th Century a Pilgrim Monument was erected in Provincetown, MA. The General Society participated in the planning and dedication of that monument. In 1941 the General Society was able to purchase the Edward Winslow House in Plymouth, and the house became the Society headquarters in 1946. During the 1950’s the Society supported the early efforts of Plimoth Plantation, Inc., as that organization began to establish the living museum now located a few miles south of the Plymouth Townsite. In 1957 officers of the General Society participated in the formal reception of the Mayflower II in Plymouth. On that occasion the Governor General presented a silver bowl to Captain Alan Villiers, who piloted the ship from England to Plymouth Harbor. These and many other events are described in the Centennial History of the General Society Of Mayflower Descendants, 1897-1997, which is the primary source for the above information. As the 21st Century begins, our General Society is involved in many projects. With the help of scientists at Oxford University, DNA analysis is being performed, primarily to establish links between known Mayflower descendants and family members in England. The English origins of some of our Mayflower families are not very well understood, and it is hoped that this application of modern technology may help us to learn more about our ancestors. Another current project group is looking into the background of the non-Pilgrim participants at the first Thanksgiving. The Pokanoket Tribe of the Wamponoag Nation contributed enormously to the success of the Plymouth Colony, but their story has not been well recorded. The Education Committee of the General Society is working with tribal leaders to record and publish their story which is so directly tied to that of our Pilgrim ancestors. These and other exciting projects are currently under the direction of the General Society.